What do we do with your information? If after you opt-in, you change your mind, you may withdraw your consent for us to contact you, for the continued collection, use or disclosure of your information, at anytime, by contacting us at info@firepaw.eu. 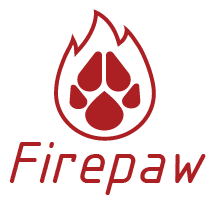 If you would like to: access, correct, amend or delete any personal information we have about you, register a complaint, or simply want more information contact our Privacy Compliance Officer at info@firepaw.eu. Firepaw Dog Treadmills are innovative and entirely handcrafted & designed in our own workshop with an individual approach to every client.